It's another Nintendo Download Update for North America, and as is now the norm it's absolutely jam-packed with content. The Nintendo Switch eShop accounts for most of the options, again, with a first-party retail title being joined by some download-only gems; the New 3DS doesn't entirely miss out, either. Let's get to it. 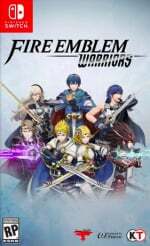 Fire Emblem Warriors (Nintendo, $59.99 / $79.99CAD) - The latest Musou crossover with a Nintendo franchise, this offers a hefty campaign, attractive visuals (and an option to target 60fps) along with historical battles to take on. 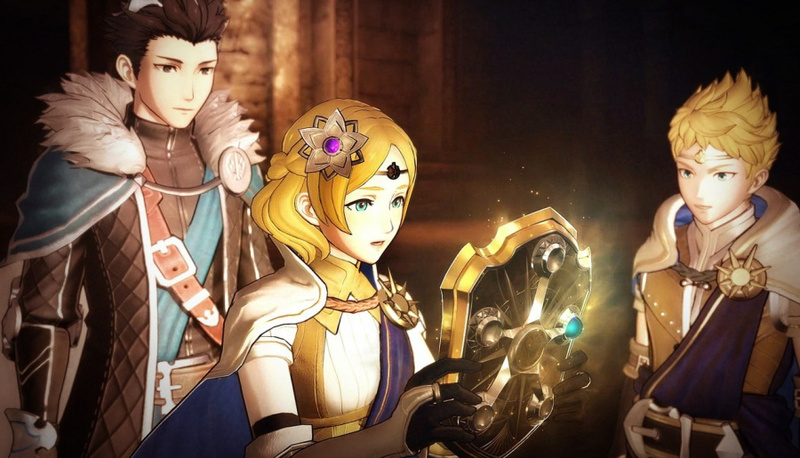 In addition to the usual Warriors brawling it adds some smart tactical play to honour the Fire Emblem IP; we were very impressed in our Fire Emblem Warriors review. Available from 20th October. Just Dance 2018 (Ubisoft, $59.99 / $69.99CAD) - The popular series (we assume) continues with this latest entry, including over 40 tracks at launch on the cartridge and over 300 more through 'Just Dance Unlimited'. Available from 24th October. Spelunker Party! (Square Enix, $29.99 / $39.99CAD) - An early retail title in Japan, this arrives in the West with a new name and as a download-only release. Essentially a puzzle platformer, it can be played either solo or alongside up to three extra players with both local and online multiplayer modes available. We'll dig into a review soon. 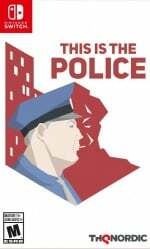 This is the Police (Nordic Games, $29.99USD) - A strategy and adventure game set in the crime-ridden city of Freeburg. You assume the role of Police Chief Jack Boyd - voiced by Jon St. John (Duke Nukem) - and have to tackle a wide range of crimes, assigning officers to certain jobs and facing numerous moral dilemmas along the way. The ultimate aim is to raise $500,000 in 180 days, but you can choose to do that in any way you wish. Also coming to retail on 5th December, the download goes live on 24th October. 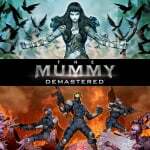 The Mummy Demastered (WayForward, $19.99 / $24.51CAD) - Sure to be tempting with Halloween around the corner. Forget the questionable movie, this promises "a 16-bit-inspired battle against the undead in a 2D, nonlinear, action-packed adventure". It looks rather neat and we'll wrap it up in a review. Available from 24th October. 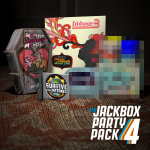 The Jackbox Party Pack 4 (Jackbox Games, $24.99 / $33.99CAD) - With the Switch all caught up on the previous releases in this series, now we get to party with the latest version. As always it's a collection of five varied games, and for the most part they're good fun in the right company; we gave this a recommendation in our The Jackbox Party Pack 4 review. 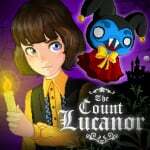 The Count Lucanor (Merge Games, $13.49 / $16.19CAD) - This is a "mystery and horror adventure" that previously made its mark on Steam; it has a stylish look to go along with its suitably creepy (and potentially varied) gameplay. We're still working on our review, but did get a good taste of what it's all about in our recent hands on impressions. 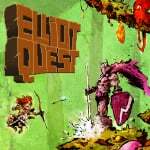 Elliot Quest (PlayEveryWare Games, $9.99 / $12.69CAD) - It opts for a simple look, but underneath that exterior is a rather accomplished adventure game. It was an impressive indication of what could be achieved through HTML5 technology on the Wii U eShop, before it was then ported to C++ and released on other systems - including the 3DS. It promises plenty of abilities to try out through five dungeons, with 16 'unique bosses' and multiple endings also thrown in. 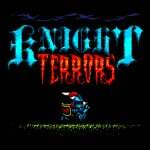 Knight Terrors (Nicalis, $2.99 / $2.58CAD) - This budget title offers simple controls but arcade-style challenge; you have to dodge dangers and also destroy any creatures that come your way. It could be a bit of fun for Halloween, but we'll brave the horror and let you know what we think in a review. 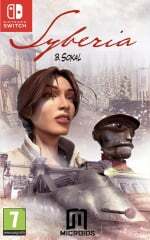 Syberia (Microïds, $29.99 / $40.89CAD) - This adventure game was first released on PC way back in 2002, with this first entry kicking off a gradual roll-out of the series on Switch. For those that enjoy narrative-driven games with puzzles and adventure this could be tempting; we'll see how it holds up in a review. Available from 20th October. Party Golf (Giant Margarita, $15.00 / $19.35CAD) - A lighthearted game promising 100 modes, randomly generated levels and support for up to eight players with a Joy-Con each. Its European eShop listing even outlines 'Twitch integration' that allows stream viewers to change gameplay through the app's group chat, but the Nintendo of America page doesn't mention this. We'll see what the score is in our review. 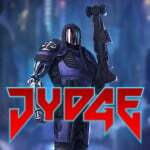 JYDGE (10tons, $14.99 / $17.99CAD) - A top-down shooter where you get to build your own cybernetic JYDGE and eradicate crime in the never-sleeping megacity of Edenbyrg. Basically, shoot all of the things, and even do so with a buddy in local co-op. Unfortunately we judged it to be a tad underwhelming in our JYDGE review. 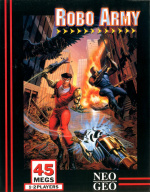 Robo Army (HAMSTER, $7.99 / $9.87CAD) - Originally released in 1991, this side-scrolling fighter was a very early Neo Geo release but boasts some attractive and detailed visuals. The gameplay is rather basic however, so we can imagine this will only appeal to those players who have a nostalgic connection to it, or those who simply have to own every single Neo Geo game on the Switch. 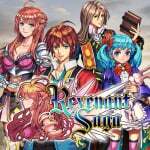 Revenant Saga (KEMCO, $12.99 / $17.99CAD) - A publisher that ported a notable range of RPGs (many previously on mobile) to 3DS and Wii U, it now makes its move onto Nintendo's latest system. Previously released on Wii U, this is the tale of an immortal being seeking vengeance, which is suitably dramatic. 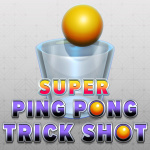 Super Ping Pong Trick Shot (Starsign, $4.99 / $6.49CAD) - On the surface this is a rather simple puzzle game in which you, unsurprisingly, try to trick shot a ping pong ball into a glass, with 80 challenges and varied stages promised. Fire Emblem Warriors Season Pass (Nintendo, $19.99USD, purchase separately for each system) - Will include three DLC packs as they arrive and will unlock a Lucina Bridal Costume. Fire Emblem Warriors (Nintendo, $39.99 / $49.99CAD) - Aiming to be essentially the same game as on Switch, this is naturally trying to give the same experience on weaker hardware. You can see how performance between them both compares in this video. GALAXY BLASTER CODE RED (RCMADIAX, $1.49 / $1.99CAD) - A basic shooter in which you try to hold off various foes descending from the top of the screen. 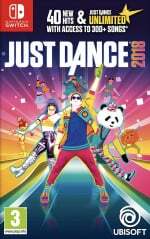 Just Dance 2018 (Ubisoft, $59.99 / $69.99CAD) - Available from 24th October. Plenty of options this week - let us know what you'll be downloading in the poll and comments below. Wow, the flood of games continues. Holy cow, that's a lot of games. Stoked for Fire Emblem! Mummy Demastered also looks unique for a Metroid-style game from Way Forward. Hopefully it’s worth the $19.99 dollar asking price. Leave it to WayForward to have me excited about a Mummy game, haha. Stoked. Interested in Mummy Demastered, but will hold for the time being since I’m busy with EO5 and have other more pressing expenses on the horizon. I'm going to get The Mummy Demastered on Tuesday and maybe get Robo Army. Just bought Robo Army and (finally) Wulverblade from the UK Eshop . I'll hopefully find some time to get stuck into them both tonight. I also just bought Stardew Valley a couple of nights ago and loving it so far. Really tempted to buy Jydge too, it has good reviews on Steam but I'd just be buying it for the sake of owning it just now. I haven't even started Thimbleweed Park yet. Next week purchases are already decided, Odyssey of course along with Mutation Nation and hopefully Zero Gunner 2. Got my special edition of FEW to wait on. Hurrrrrry GameStop! Please? Robo Army, Knight Terrors, and Fire Emblem Warriors on Switch! I have the Switch tucked away for Christmas. There will be a too many choices by then. I will need to be patient and wait for sales. @Kalmaro As nice as the current quantity and variety is, I miss the days when I could keep up with everything released on the Wii U, though those massive droughts were no fun at all. -The Mummy Demastered: Metroivania, Wayforward great pixel art, hoping (maybe) for a Jake Kaufman soundtrack (don't know about this one)? I'm already sold! @thesilverbrick Yeah, waiting so long for games was lame but at least I could afford them. Now, I have so much to choose from that I'm overwhelmed. It's like they decided to listen to us complain about games and now there's too many of them, haha. Soooo....what happened to the Nintendo Arcade Archives? So much good stuff. The Mummy Demastered, in particular, looks fantastic. Will put off FE since I have too much to play as it is, and Odyssey is next week. Wow, so far Mummy Demastered has beat out FE, never heard of it, will have to check it out. nothing for me this week. odyssey is more important to me right now then warriors is. How can ppl vote "Nothing for me this week"? I mean what are you waiting for? What types of games you bought the Switch for? @SuperTeeter64 my copy comes from Amazon, they already ship it so hopefully comes quick!!! No Switch in my household yet so looking forward to downloading Fire Emblem Warriors on my 3DS tonight! Getting Fire Emblem Warriors (switch), but as a physical since that's the only way I could get the collector's edition. With the way I been buying games this month, I probably spent close to $200 even with the discounts on some of them. Bittersweet for me and my wallet. Best Buy has yet to ship my SE of FEW and the two Amiibo that go with it. Getting antsy! Wished I could run through VS SMB before Mario Odyssey comes out. Hope we get some more Castlevania or Ghosts N’ Goblins before Halloween, on anything, rereleased or unreleased. Even Metal Gear Solid GHOST BABEL on 3DS. Just wanna play it. Only Robo Army and Touhou Kobuto's DLC for me. Did America not get the Touhou DLC today or why isn't it mentioned here? Also, Touhou Kobuto's review should be updated to reflect that the online mode was added in an early (day one?) update. Already plan on getting physical version of FE Warriors so just the DLC for me if I choose to do so. Not really liking the prospect of adding even more Fates and Awakening characters but... Oh well. Getting Warriors this week (retail physical though I marked download for sake of the survey). Tomorrow begins the near month long strain on my budget. Between Warriors, Odyseey, Skyrim, Xenoblade and maybe LEGO Marvel 2 on Switch as well as amiibo and a Xbox One X with games for it or PS4 like NFS, Battlefront II, COD WWII, and my wallet will feel the strain. It doesn't seem like after Dec 1st there was much on the way as far as releases this year or early next year. If Fire Emblem Warriors has a way to do co-op without splitscreen then I'd be buying 2 copies (I really want to play with my wife) as is...I might buy it. Will pick up Elliot at some point, but I’m being buried by work until the end of December. Mario will get what free time I have. Any word on The Mummy Demastered yet? I'd assume it's worthwhile, but I'd love to see a review first. I guess there were no review copies though ... ? That's an impressive and varied list of games. There's definitely some good times to be had in there. I've played Syberia, but that asking price (shudders)... makes me worry for part 2. Party Golf is one of my favorite games. I've had a blast playing it with 1 to 4 other people (you can have 2 people on each PS4 controller), but also loved it in single player mode. I hope people give it a shot! They should release a demo of it. So addictive! Elliot quest and wait for Mario Odyssey. I’ll be picking up Jydge. I regretted buying Hyrule Warriors so I’ll pass on the Fire Emblem version. The combat just gets too spammy and repetitive. Jackbox 4, and FEW in a FEW months. Solid week for Switch again but just the Mummy for me!! Mario next Friday!! Wow...happy days are here again! FE Warriors and Season Pass for me. Super hyped for this game. I'll wait for the retail version of This Is The Police and The Count Lucanor. The Count Lucanor is a very special game to me. Everything about this game is well done: The characters, story/writing, atmosphere, detailed pixel-graphics, puzzles, soundtrack, and replayability (every decision you make changes the rest of the game). And it's extremely creepy. My horror game pick for Halloween. 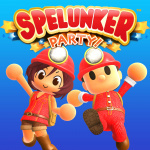 Spelunker Party! is another one I would buy if it was on retail like in Japan. The demo sold me on the game. I know the original game from the C64 and NES and, loved and hated it. Finally a version where you can save progress, where you can get better skills and items, where you have many stages, where you can play co-op with up to 4 players. This is how to make a good modern version of an old classic. 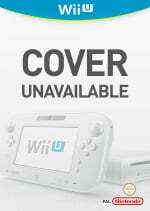 I already have Elliot Quest on Wii U. Stopped playing it because it's often hard to know where to go next (there's so many areas to choose from on the map, and I was replaying levels over and over again and still couldn't find the correct path, plus it had plenty of irritating (and even gamebreaking) bugs. It's not fun when you cannot make progress and you don't know if it's because of a bug or because of extremely tricky level design. A shame, because the music, graphics, RPG elements, and controls are pretty good (and I love Metroidvanias and usually complete them 100%). I hope the Switch version is updated and polished to the max. Also having Revenant Saga on my radar. Kemco's producing some great SNES/PS1-style JRPGs lately. Asdivine Hearts on the Wii U eShop was a very good one. For real what happened to the arcade classics? I thought they would be coming out fairly regularly..
Might get Vaccine with the $3 off sale. Would get Syberia if it was around the $20 mark. A 15 year old port for $30 is just ridiculous .. especially when you can get Syberia 1 & 2 bundled for $15 on Steam. I continue to keep scoring pre-orders on special editions for Fire Emblem games. If the new main series one on Switch next year has one, I'll hopefully be able to secure that too. I would like to try FE Warriors at some point although my better judgment tells me otherwise (got bored quickly with Hyrule Warriors, and the voice acting in this seems nauseating). Probably not now though. Odyssey in one week, babyyyyyyy! Elliot Quest & Syberia for me. Also interested in The Count Lucanor & Revenant Saga, but may wait on reviews for those. @hcfwesker Despite mixed reviews I’ve really enjoyed “Vaccine,” which I purchased on the day of release. I can definitely recommend it at that discount. The game does get a little repetitive, but the randomized layout gives you a sense of renewed uncertainty even when the individual rooms and graphical assets become all-too-familiar. Runs where the handgun is spawned far from your starting point can be daunting, but I became pretty proficient with the knife and ultimately enjoyed the tension of melee combat over using guns (odd to say as an “RE” veteran). Finally, there’s a spray you find fairly early and often every run that will keep the crawling enemies (think ‘lickers”) from damaging you when attacking; this further reduces the “need” for a gun rather than knife. Have fun! I enjoy it still from time to time. “Mummy Demastered” is a day one download for me next Tuesday, and I’ll be picking up a retail copy of “Fire Emblem Warriors” tomorrow! @rharalson yeah, when the game first popped up I was excited by the old school survival horror mechanics and graphics. I still play PS1 RE's, Fear Effects, Silent Hill, etc. The thing that turned me away the most was the 30 minute time limit per play. I EXPLORE like crazy in survival horror games so this made it seem as though it wouldn't be my kinda game. But with the sale and your recommendation I'm looking forward to checking it out. Will Fire Emblem be a midnight release tonight? 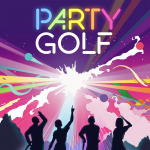 Please review Party Golf soon! It is so fun! I want people to enjoy it and share it with others. It also seems to run the same as on PS4 (I have both). There are so many different modes. I just discovered the water levels the other day while playing with my nephew. He likes the true golf, or real golf mode where people can't all shoot at the same time. Anyways, I'm just enthusiastic for games like this, Worms, Worms Golf, etc. How do I still run into people whining that the Switch has no games? Honestly this flow of games has been lovely! They just need to rework the eshop to better present them. That Mummy game is the standout to me. Actually this is my first time in a while saying there's nothing for me this week. While I have a bit of interest in a few of those games, most notably Count Lucanor, I have to wait for reviews for more details. I have Fire Emblem Warriors coming in the mail today. I've had Revenant Saga on my backlog for some time, and wouldn't mind it on Switch. I just cant justify Kemco pricing outside of a sale. It is currently on sale on mobile for $4, so I may just go ahead and add it to my android collection instead. @Heavyarms55 especially considering it is launch year! The initial launch was slow, but after Mario drops I think we can say the Switch has a better year 1 than most consoles enjoy. @JJ286 What about "still playing Stardew Valley and playing Super Mario Odyssey next week"? @HannesDroid hmm....still this game are good ones. I always choose what I'll eventually pick even if I don't right away. @chardir ok thats a fair reason. The number of people voting nothing for me this week is awesome. Nice to have a decent amount of competition for a change.